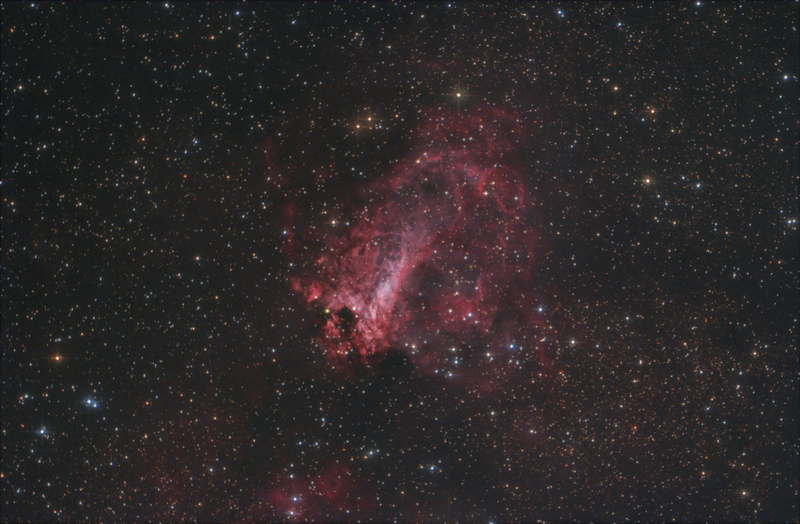 Here is a recent image of M17 taken from the dark skies of our cottage. Click on the image to see an earlier attempt, click again to return to this image. Processing This image was processed entirely in Images Plus. Calibration, stacking, ArcsinH initial stretch, gradient removal, SMI processing, feature mask to split into nebulae and star images, multiscale decomposition used to sharpen the nebula, masked halo reduction then images recombined. Image binned for web display.